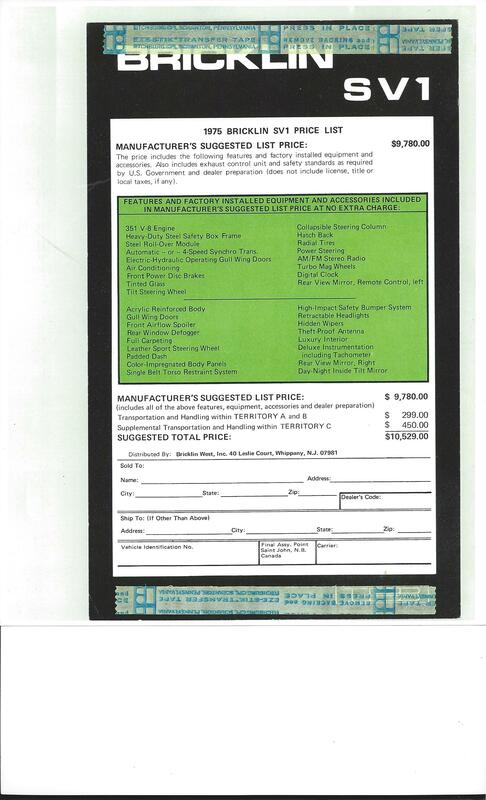 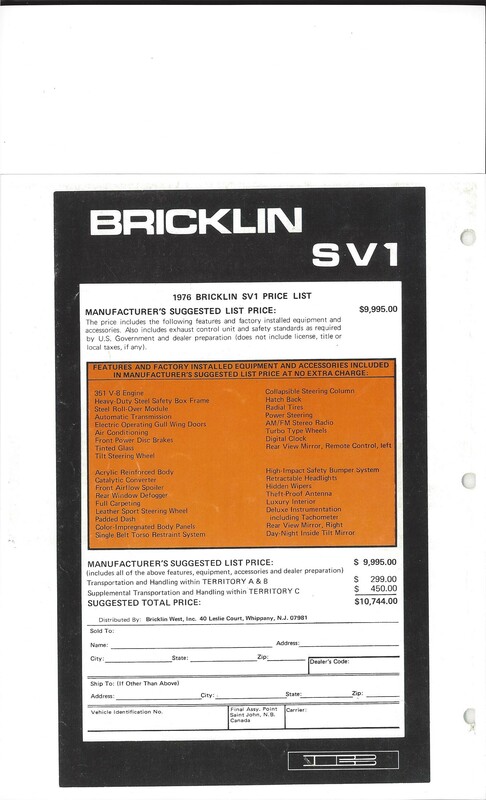 1974 window stickers had an entry for an automatic or 4 speed transmission. 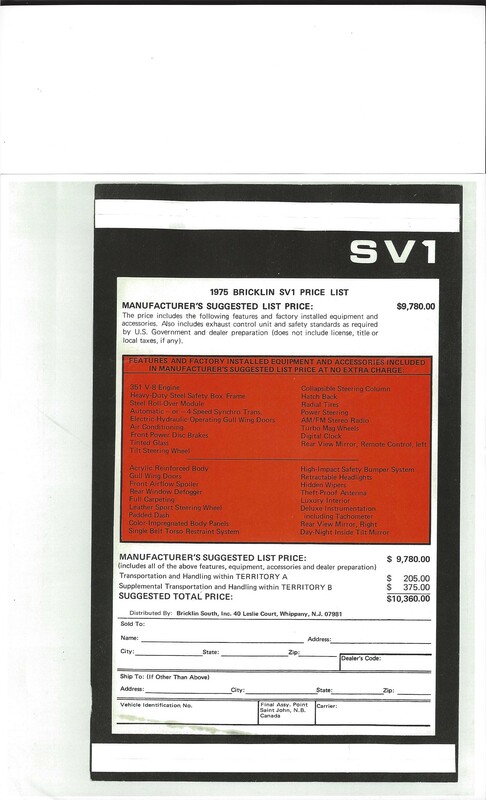 I do not have a 1975 window sticker in Safety Suntan or Safety Orange. 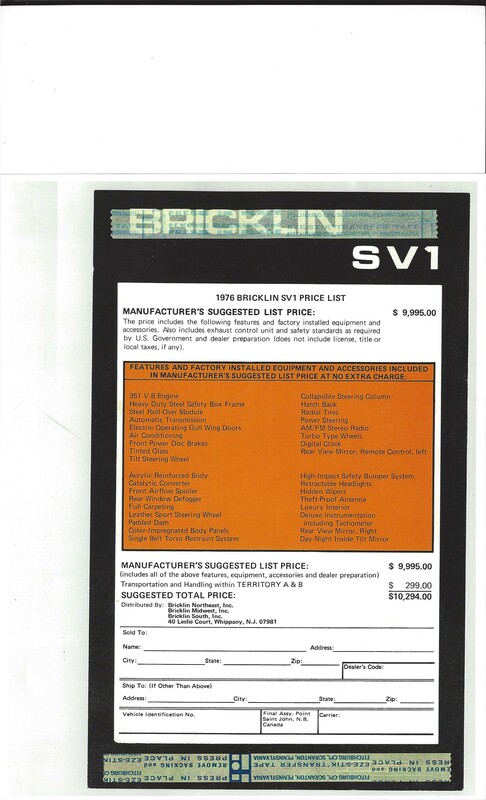 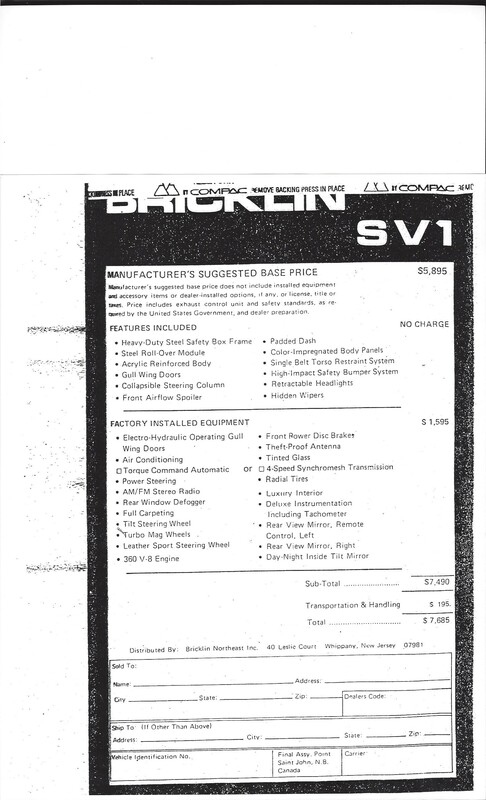 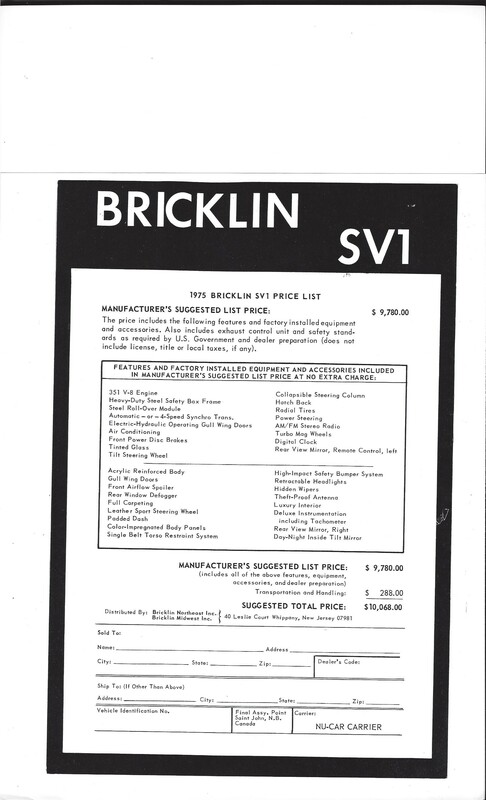 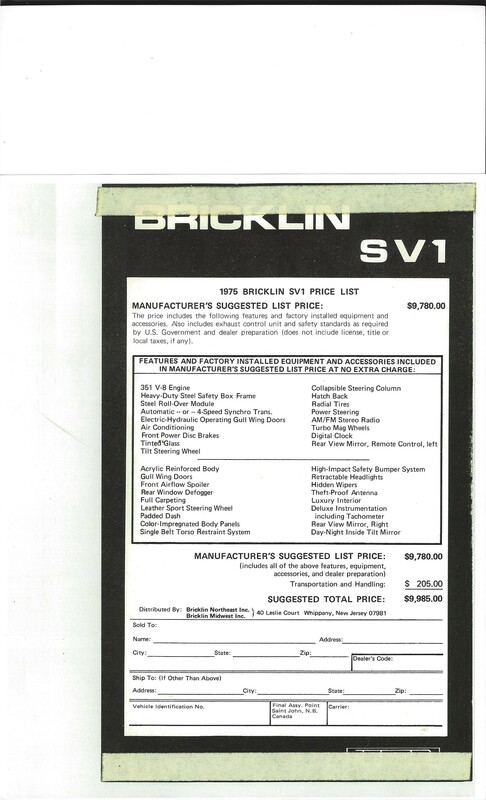 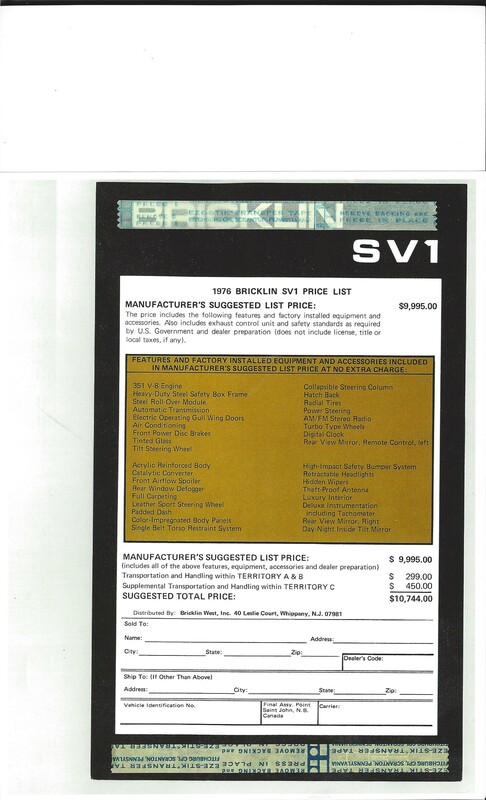 I only have images of 1976 Bricklin SV-1 window stickers in Safety Suntan and Safety Orange.